Satin Storm, Studio Pressure, Shy FX, Roni Size & Reprazent, Dillinja and more. 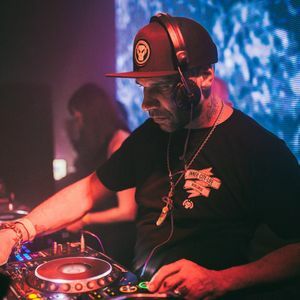 There was a point in the late 90s where it looked like Clifford Price, aka Goldie, might be the first dance music artist to become a full-on mainstream megastar. With rock music in its post-Cobain slump and hip-hop’s bling period in full swing, some people were certain that pop music’s next messiah would come out of what everyone was calling the “electronica” community, and Price seemed to fit the bill. After his 1995 debut album Timeless became the most popular drum&apos;n&apos;bass record yet, he was the biggest thing in the coolest kind of dance music, and with his acting roles, high-profile romantic relationship with Björk, and distinctive futuristic gangster-punk image he displayed an obvious talent for doing superstar-ish things.